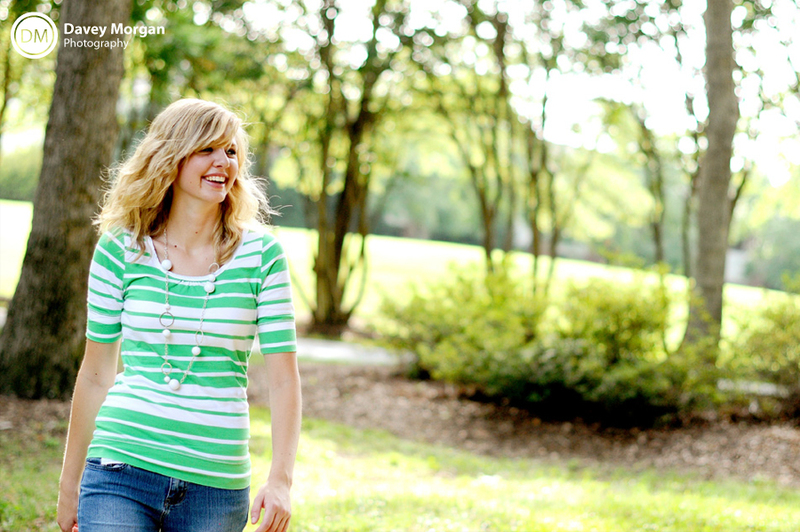 Lindsey is a senior at Laurens District 55 High! 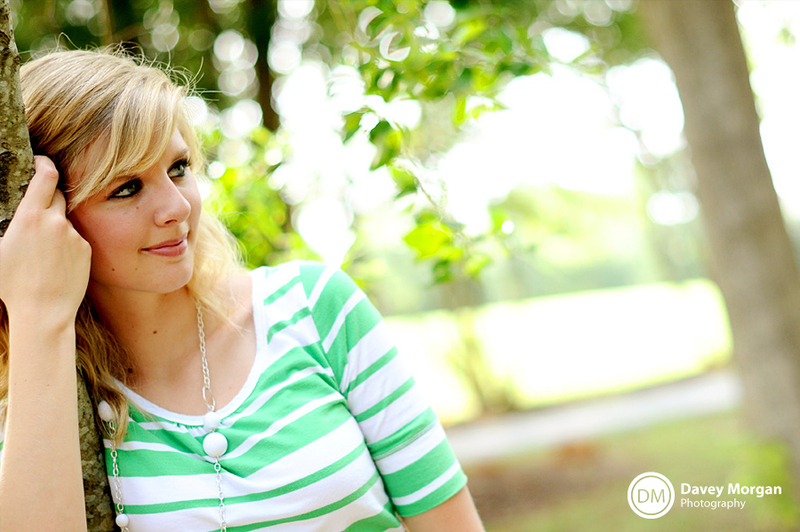 For her senior portraits we actually went to a retirement community! It’s called The Villa at Martha Franks Baptist Retirement Community. Lindsey told me that The Villa is the main place where everyone from her high school goes to get their prom pictures taken. She said that the retirement community staff puts out drinks and snacks for the high school students and their parents while they are taking photos! It was actually a very pretty place to take pictures! I love the yellow top Lindsey was wearing! It went so well with the green grass and trees. The whole place was landscaped beautifully. The Villa building was really nice too, with a wrap around wooden porch. The little buttons on Lindsey’s top and lace curtains in the window created a European feel to the photo. I love how the lighter colors seem to pull out her eyes even more! I loved her necklace in these pictures, it added a little pizazz to her outfit. For a more relaxed look, Lindsey put on a cute pink t-shirt and some tattered capris. It gives her the opportunity to have pictures that don’t look so formal and posed, but relaxed, and a better representation of her true self. That’s something I’m always striving for in my photography, is to represent the subject as accurately as possible, while still providing a fun, bright, special picture for them to frame. This entry was posted on Thursday, August 20th, 2009 at 5:31 pm	and is filed under Senior Portrait. You can follow any responses to this entry through the RSS 2.0 feed. Both comments and pings are currently closed. These are beautiful! She looks so sweet!